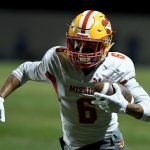 Akili Arnold was selected as a defensive back for the 2018 Los Angeles Times All-Star Football Team. 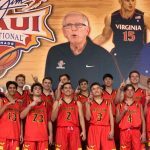 Congratulations to the MVHS Boys’ Basketball program on winning the Lahainaluna Holiday Tournament! 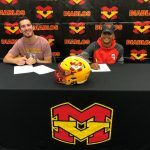 Joey Yellen and Jojo Forest participated in the football early signing period on Wednesday, December 19, 2018. 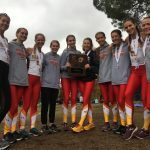 The Mission Viejo Girls’ Cross Country Program places 3rd at the State Cross Country Meet. 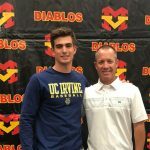 Congratulations to Luke Spillane on his commitment to play baseball with UC Irvine! 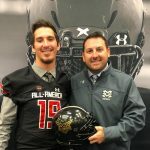 Congratulations to Joey Yellen on his selection for the Under Armour All-American game this coming January! 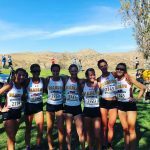 Congratulations to the Mission Viejo Girls Cross Country program on winning the South Coast League Championship! 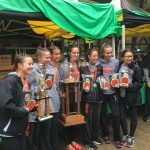 Mission Viejo Girls Cross Country wins the 2018 Orange County Championships on Saturday, October 13, 2018. 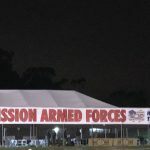 Mission Viejo High School honored our Military Veterans at this year’s annual Mission Armed Forces Event Friday, September 28, 2018. 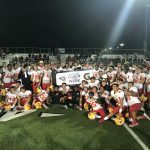 Congratulations to the Diablos and Coach Chad Johnson on their 41 – 8 victory over Upland Friday, September 14, 2018. Coach Chad Johnson was selected as the Los Angeles Rams Coach of the Week. 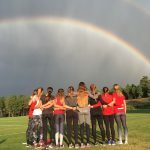 Mission Viejo Girls’ Cross Country is looking forward to the 2018 season. They are currently ranked in the top 10 of all cross country programs in the nation.